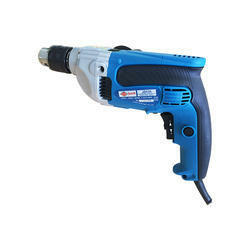 We are involved in manufacturing, supplying and trading a wide range of Electric Drills. Our offered product range is appreciated for its technical effectiveness & best operations. Our products are highly demanded in market due to their best quality and reasonable rates. 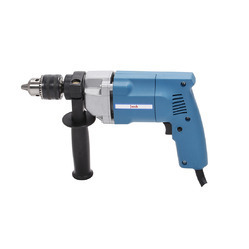 We are offering a wide range of Drill Machines which have electronic, speed pre-selection with setting wheel and right-left operation. Further, one of our top model, this is additionally equipped with 2-speed gearing and constant electronic & torque control. These are renowned mainly for swift operations without any keys. 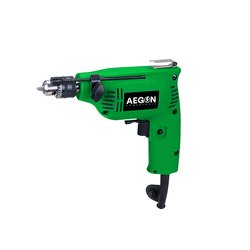 SALIENT FEATURES: This is the most universal heavy duty drill in the industry comes with a heavy duty motor housed in high grade engineering plastic with the gear assembly housed in solid aluminium alloy casting. 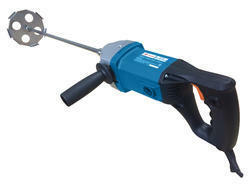 The machine is light weight and compact design for ease in operation. It has an adjustable side handle for different positioning. It comes with a depth stopper. 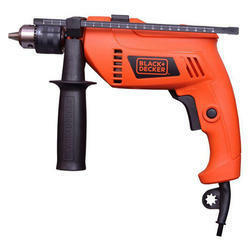 Application: The machine is mainly used for drilling in wood metal and plastics. Apart from drilling applications this machine is also used for floor polishing, skirting, vertical sanding using appropriate attachments. 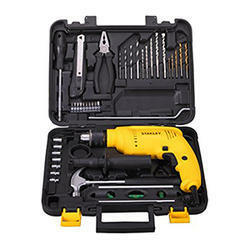 We are engaged in offering wide range of Impact Drills which is highly acknowledged and recommended in the market for their optimum functionality. 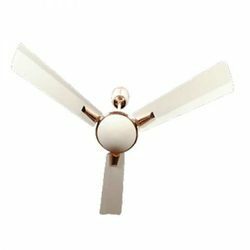 Manufactured using quality assured raw material and ultra modern technology, these are fabricated by our certified vendor in their well equipped manufacturing unit. Moreover, we offer these products to our valuable customers at reasonable prices. Salient features: This is a powerful impact driling machine in the industry comes with a heavy duty motor housed in high grade engineering plastic with the gear assembly housed in solid aluminium alloy casting. 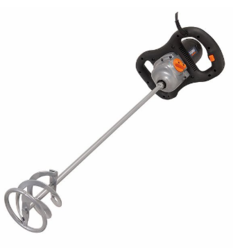 The machine is light weight and compact design for ease in operation. 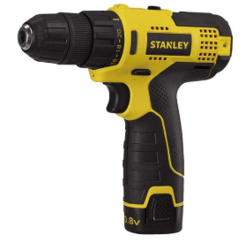 It has a side handle for balanced drilling. It comes with a depth stopper. Application: This machine comes with a two-mode option. 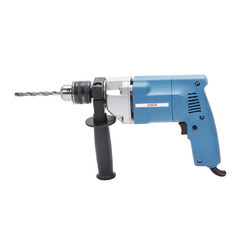 The machine is mainly used for drilling in concrete and masonary applicationss in the impact mode and in the plain drill mode it can also be used for drilling in metal , wood and other plastic materials. We offer our customers a wide range of Drill Machines which is made in compliance with international quality standards and norms. These products are developed using optimum quality raw material and latest tools & machinery. In accordance with international quality standards and guidelines, these are provided in bulk and urgent order to suit the requirements of our valuable clients. 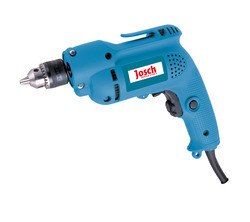 The Josch Electric Paint & Putty Mixer is an excellent power tool for use while mixing solvents in the paints and chemicals industry. 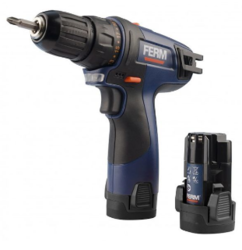 The 3.6VLi-Ion is the most compact machine in the FERM POWER-FS assortment. This screwdriver can be charged withUSBcableand via the socket. 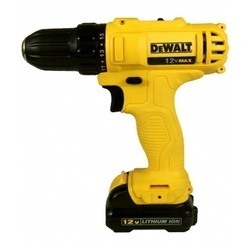 The machine is equipped with soft grip and LED work light and because of that, very useful for precision work. The maximum torque is 7 Nm. The maximum torque is 30 Nm. For precise screwing the machine has 21 torque settings. The quick charger ensures that the battery is fully charged in 45 minutes. 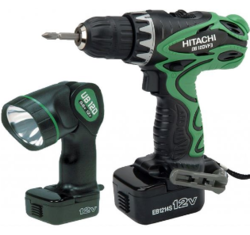 The cordless drill is equipped with LED-work lightning and a belt hook and is supplied in a robust storage case including two 10.8V Li-Ion batteries, a quick charger and 2 screw bits. 16 positions Torque for any job. Durability, for constant use and spread. Transmission speeds for all applications. Compact design for working in tight places. The AQUARIUS* Aircare dispenser has been created to elevate your workplace experience through user friendly programming and a minimalistic design, ensuring optimal hygiene. 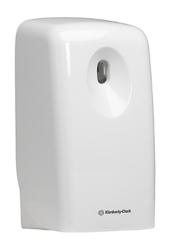 Ideal for: use with KIMBERLY-CLARK PROFESSIONAL* aircare fragrance refills to drive performance, efficiency and sustainability within your washroom. Bearing Heavy Duty double ball bearings with tolerance, Hardened Carbon Steel Balls with protective seal lubricated with high quality grease for smooth running. Blades : Well balanced wider blades made out of aluminium sheet, properly angled and designed for optimum air delivery. Powder Coated : Glossy and mat finished powder coated paint in different colour. High quality finish using latest painting equipments i.e. rust proof, scratch resistance, glossy finish long life durability. 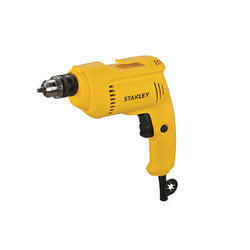 Looking for Electric Drills ?